Ab Initio, I've been a keen admirer of Art and different kind of artworks. Creativity doesn't flows naturally in my family. But I have developed deep interest towards different kinds of creative things. When I delve deep into such creative works related to sketching, drawing cartoons, paintings etc, I realize that the world is too big and if you try to explore it, it would be like an ocean that has no boundaries and I realize that I am just a small droplet that constitute this ocean of Art. But I’m content with the skills that I have acquired in all these years through thorough practices and efforts. Be it sketching, drawing, making cartoons, writing lyrics, scripts, photography – each of these activities have inspired me and captured me deep within and everything that I do here is straight from my heart. My creativity is something that has been with me throughout these years. Today, I will try to highlight different ways in which you could give life to your printer. Printer is something that is a must have tool in this technology savvy era. It’s like giving wings to your concepts and creativity! It comes handy during presentations. But there are many fun things that you could even do with a Printer.There also various printing ideas for marketing , business as well as for teen level. Being a brother to Fashion Designer can be troublesome at times. Especially a tech savvy brother and a tech naive fashion designer sister duo can do wonders at times. But I’m proud of her. Her work inspires many. Sometimes she has to put her exhibitions of her various artworks. In such a case, it is mandatory for her to display her works for the viewers. Beauty might lie in the eye of the beholder but sometimes it’s even art that is in the eyes of the beholder. Saying things through photography is a skill and sometimes decorating your house with the photos that you have captured from your DSLR can embellish your home. 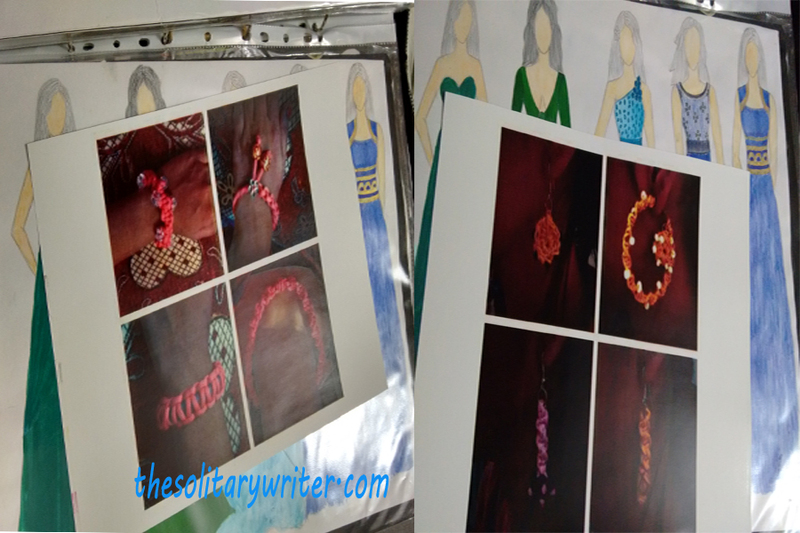 You could find various embroidery works, Fashion Croquis, Dress design patterns if you browse through my sisters journals. A lot of hard work has gone into giving life to those artifacts. Of course, the brother dear has to get the paper print of those designs. In such a case it is handy to have a printer at home. Her journal cover contains picture of different kind of designs made by her. My creative sister printed most of her impressive artworks and made a nice book cover out of it. See, how all you could use your printer. It will kindle your creative cell! Let’s say you are organizing a birthday party for your baby boy and you got nothing worth to gift the children present. 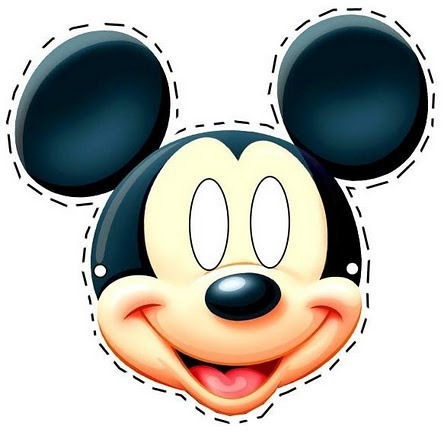 You could quickly take a print of different Cartoons - Batman, Spider man, Mickey Mouse, Donald Duck etc. Imagine creating a cartoon network on your kid’s birthday party. Children’s love cartoons and such acts amaze and amuse them. And we all love our children; don’t we? Imagine a party with lots of kids wearing Spiderman, Batman, Donald Duck masks. That would add fun to the party. So planning of hosting a birthday party or any get-together? Implement this idea! Let’s say you are bored and you don’t have anything constructive to do. Let not boredom kill you! Utilize your time in doing something. 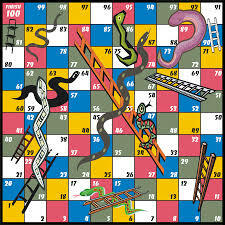 Play Snake-n-Ladder or Ludo? No worries, if your playing board is torn or not in a good state. You could use your printer to create a new playing board. Not just Snake-n-Ladder or Ludo – You can create any board games. Just download the template from Internet and print it and Lo – a playing board is ready. Similarly you could print chess boards, monopoly boards, etc if you don’t want to go out to the stationery store and shell out money. We once had a family get-together at my elder sister’s place and we printed few tambola sheets. And yes it worked well! Are you a die-hard fan of any sports person or actor? Then you might wish to have their poster engraved on your wall. You could print big size posters and stick it on the walls of your room. You could even get motivational quotes printed if you are not a great fan of any sports person or actor. Ever heard of fabric printing? 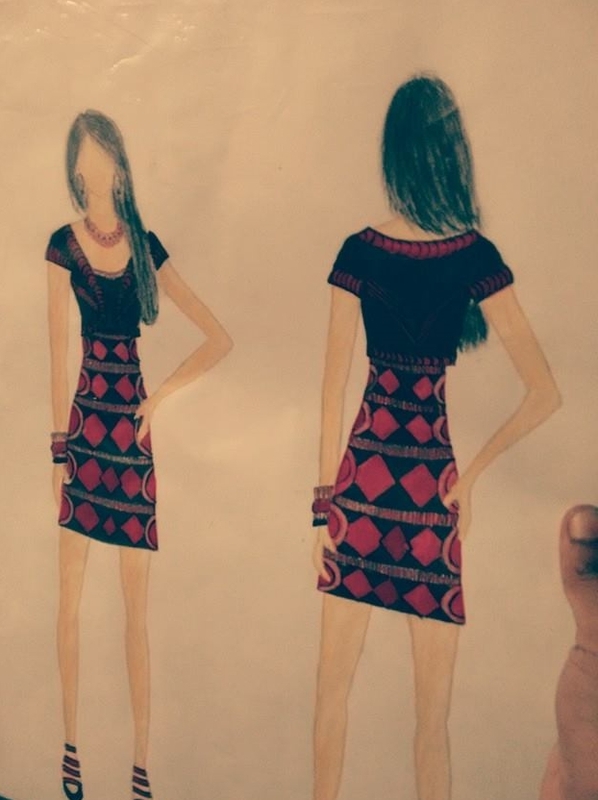 I got to know it from my sister who has done that at her designing school. It’s like printing logos, art works such as paintings, sketches on different kind of fabrics such as cotton, linen etc. 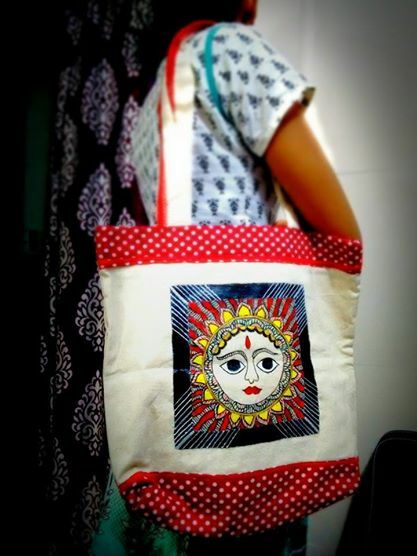 You could also print it on sling bags, pouches and handmade bags if you are into handicrafts. Such things instantly impress the customers and anything that delights a customer is good for the product owner. Develop a Win-Win situation by applying creative ideas on your products. You could even print designs into napkins. That’s certainly ingenious! Creating customized paper bags, calendars and post cards sounds creative, no? There’s a great deal of creativity involved in things that are handmade. That’s where our human brain perceives different ideas and it implements the ideas and we come up with something fresh and creative. I have used printed materials on paper bags, calendars and post cards that I have made. 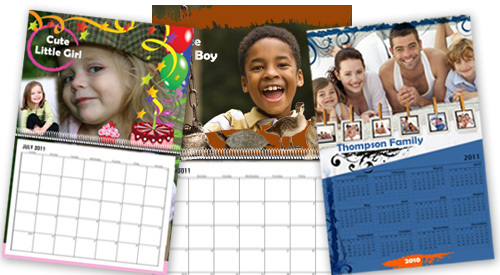 These days many websites provide ready made templates for calendars. You could go one step further and customize it as per your requirements. It indeed will make you smile after all it’s a product of your creative brain! When I was young, around 12, my elder sister made a greeting card for me and my sister for our birthday. Those days internet had just arrived in India and it costed a whooping ` 150 for an hour of internet usage in cyber cafes. She used to work in Visual Media at Zee Telefilms. During her leisure time at office, she made greeting cards for us. And during the late 1990’s that used to be big for us. Sending personalized greeting cards were new during those days which is not the case now! Everyone would like to see a smile on their loved one’s face and why not opt for personalized greetings to make them feel special. You could festoon your house with beautiful designs during different festivals. Like if its Diwali , then you could get prints of firecrackers, diyas and stick it on your walls on the main room. If it’s Christmas, get into the Christmas mode by printing images of Santa Claus, Xmas tree etc. You get customize it as per your need and decorate accordingly. My sister had decorated her hall with pictures of different Alphabets and fruits so that it would help her kids learn fast. A for Apple - An image of Letter A and fruit Apple! Such things at home could facilitate faster learning for your little kids. 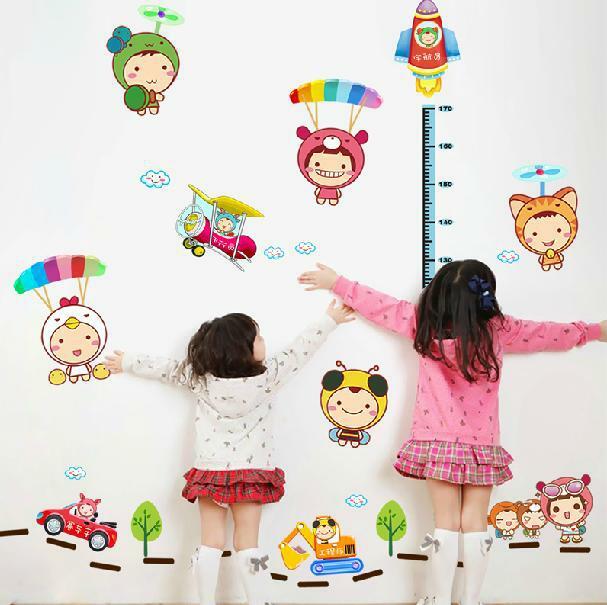 Walls with designs printed on it.. Source - Google Images. A personalized letter head with your face and your signature. That might sound a bit flashy but that’s something that can be done with your printer. My sister’s teacher once asked her to get a world map but unfortunately she had completely forgotten it and it occurred to her at early morning that she had to bring the world map. I quickly printed a world map from my computer and handed over to her. There are plenty of creative ideas that could be implemented and executed with your printer. 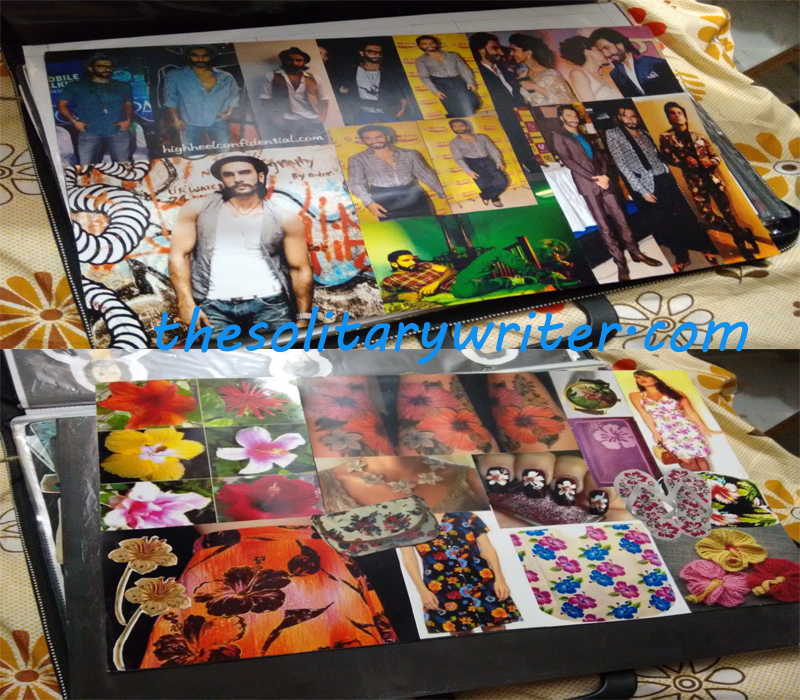 You could create banners, enlarge your photos and get it printed, create posters etc. A creative mind doesn't need dictation. It perceives its own ideas and once ideas strike the mind it’s better to implement and execute it. You can print nice cover pages for your journals, assignment book, text books etc with whatever that you prefer. See the image below. 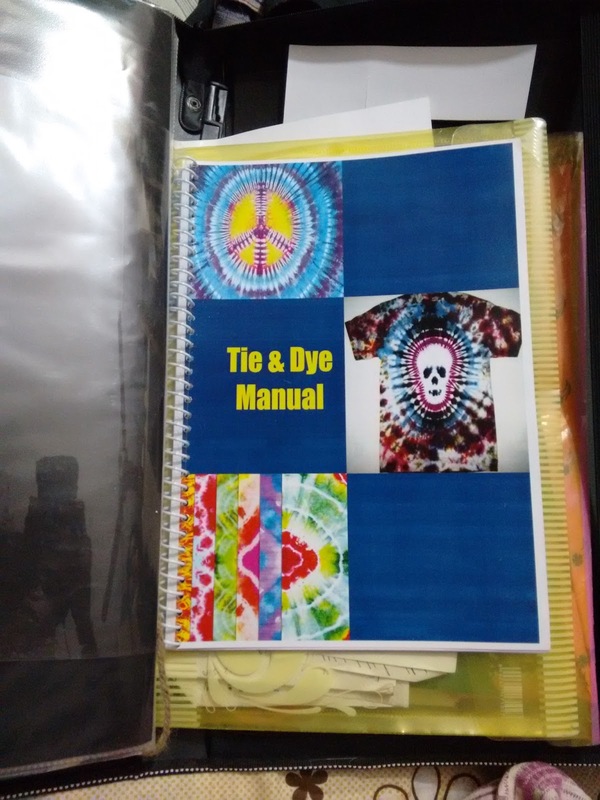 This is my sisters Tie and Dye Manual. She has printed a cover page for her journal as displayed below. Print Customized cover photo for your journals like how my sister did. Like seen above, you would notice that a printer is a handy tool to be at home. For someone like designers it is essential to have a printer and if you ask me then this is a very important equipment that one should have at home. If you spend some time with yourself, you would realize that a lot of creative and fun things could be done with your printer only if you wish to do. Out of all the ideas that I mentioned above most of them have already been used by me. I could think these ideas. I’m sure you all could think more than these. The HP Deskjet ink advantage 3545 all-in-one wireless printer is a very handy device. Through different facilities and features it provides a rich printing experience. With freely and easily available templates via its online web application, User is given the best printing experience he could ever get! So, now printing is made more easier! Do it now, Don't postpone! Cupid Games, Proposing your crush!